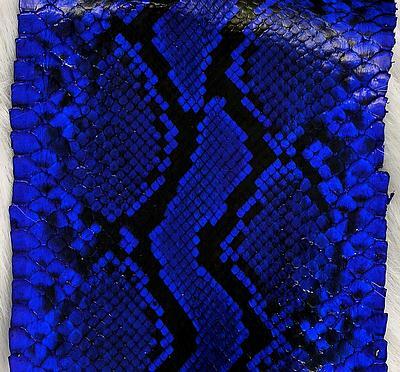 Exclusive handmade snakeskin wallet. Snake Skin, with such striking patterns, make for stunning snakeskin wallets that are sure to make you stand out from the pack. A lizard wallet with a spattering of mottled spots and rings is the go. Soft and supple, lizard skin is cool to the touch and feels sleek in your hand or pocket. Always in demand, these sleek numbers are a naturally stain resistant, low maintenance exotic wallet that’ll always turn heads. Get noticed next time you need to pay the bill! Our Genuine stingray leathers wallets, belts and handbags with pebbles textures, will make exclusive gifts for her or his birthday. Something unique? We also have taxidermy King Cobra or just want snake hides materials, yes, we have them! Our products are imported with CITES permit, has been cleared by US Customs and Wildlife. Each hide has smiliar pattern and shade but not exact. Special order, 3 business days to process. Click on picture to view larger. Express mail is extra. Click here for shipping prices. It's not always easy to buy a Valentine's Day gift. Most don't get excited by unwrapping a beautiful package that holds clothing or accessories inside. But they certainly appreciate Valentine's Day gifts that do stuff. Choose any of these Valentine's Day to help him or her realize how well you know him/her -- and how much you care. The options for a man’s Valentine’s gift are ostrich wallets, stingray belts, snakeskin ties, checkboo covers, probably taxidermy snake. And for her Valentine gift are checkbook cover, or genuine stingray purse. It does not have to be a romantic gift in itself, so long as the message from your heart to his comes across. Our exotic leather products are genuine, has been inspected and cleard by US Fish and Wildlife.